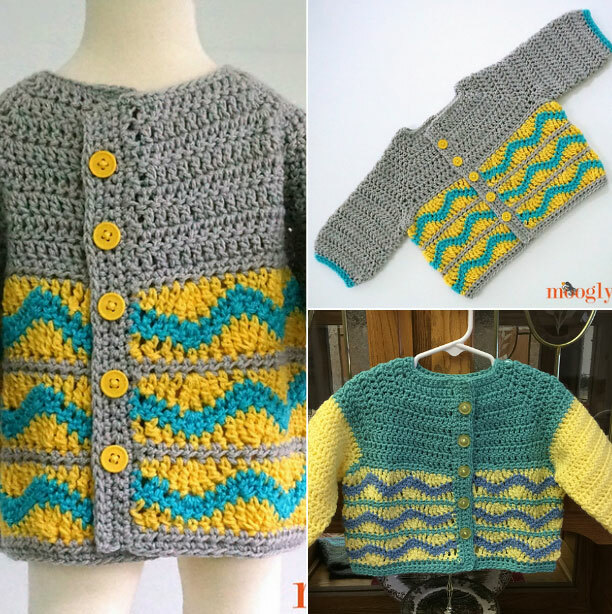 Greyson Baby Cardigan Free Baby Crochet Pattern by Moogly. The Greyson Baby Cardigan is cute, unisex, and the perfect gift! This sweet little crochet baby cardigan comes in 3 sizes, and can be customized for both boys and girls – just move the button band to the other front flap and sew the buttons on the other side! To be fair, I don’t think most new parents pay too much attention to that sort of thing, but this free crochet pattern has you covered either way.